The absolute best way to improve your brake pedal firmness, feel, and response is with this new part. Go open your hood and have someone pump the brake pedal and watch on your own car how much the brake master cylinder moves. That's from the firewall flexing, and that's not good for your brake feel, or the firewall itself. People have cracked their firewalls over time, and this is a huge part of why. For anyone who saw an improvement with stainless steel brake lines, this will blow your mind. the amount of flex you had in all your lines combined is nothing compared to the amount of flex at the master cylinder/firewall. And this product solves that. -It bolts on, without modification to any 4th gen car. 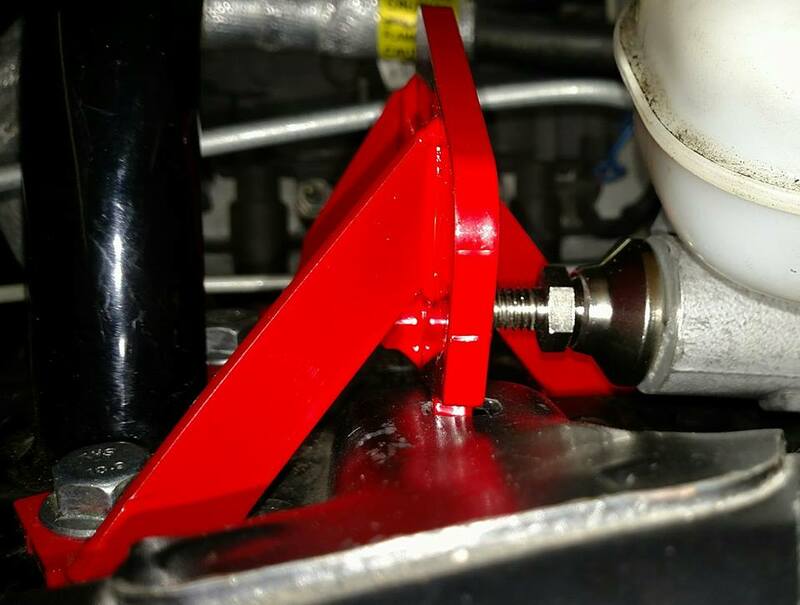 -We include a spacer plate for use on cars that are not running a front mount Shock Tower Brace. We made this modular to work with or without a brace. -Adjustable stop so you can add as much or little pre-load to the master cylinder and firewall as you like. The more preload the firmer and higher the brake pedal. BUT BE CAREFUL. You don't want to go nuts and bend the firewall! Use common sense.